One task we needed to perform, before winter sank its teeth in too hard, was buttoning up the bees. 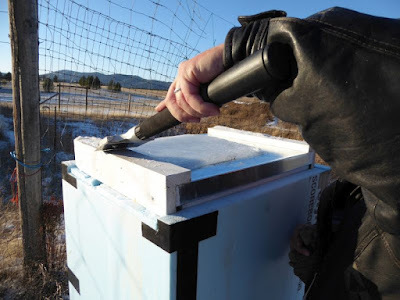 We had a spate of cold weather in November and I was reluctant to open the hive during that time since I didn't want any of the heat escaping. Yet we also needed to check the status of the critters. 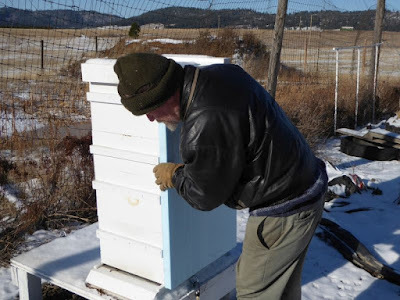 So on a sunny and comparatively warm day (highs in the 40s), we suited up and opened the hive. The top-most super was fairly empty, so we removed it entirely and tucked it in the barn. 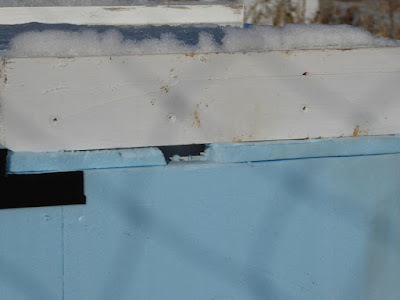 But the super underneath was heavy with honey, so we put the lid back on and left the rest of the hive alone, trusting in the bees' instincts. But we needed to insulate the hive. All the experienced beekeepers we spoke to said it's best to wrap the hive to protect it from wind and cold. 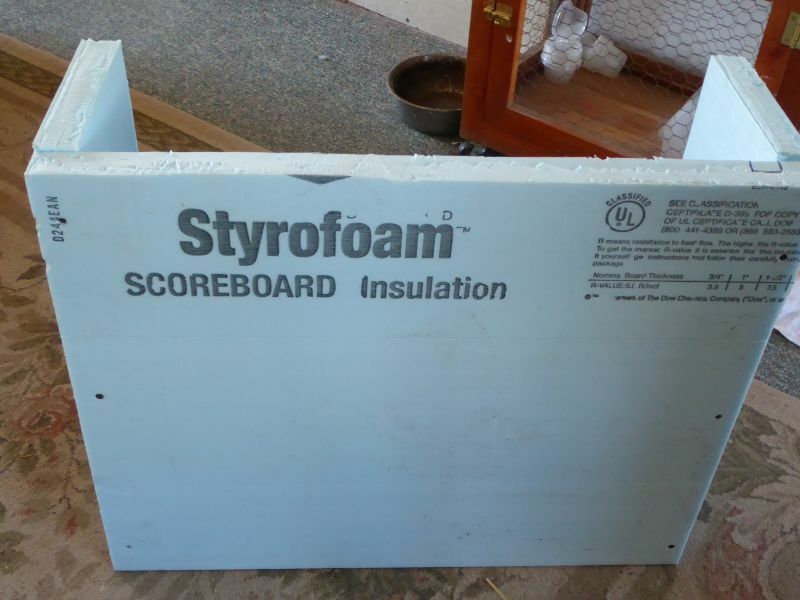 So Don purchased a sheet of foam insulation that could withstand outside conditions (i.e. rain, snow, etc.). 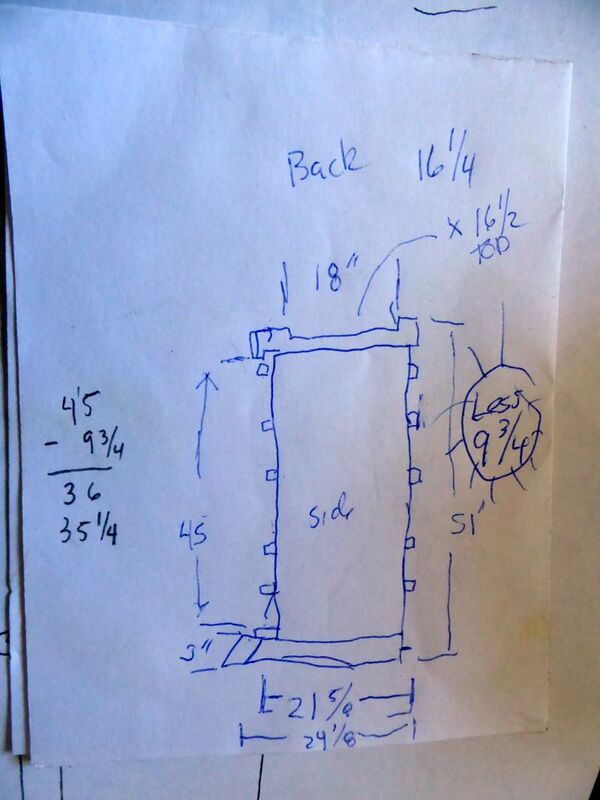 ...and sketched out what he needed to build a "box" of insulation. 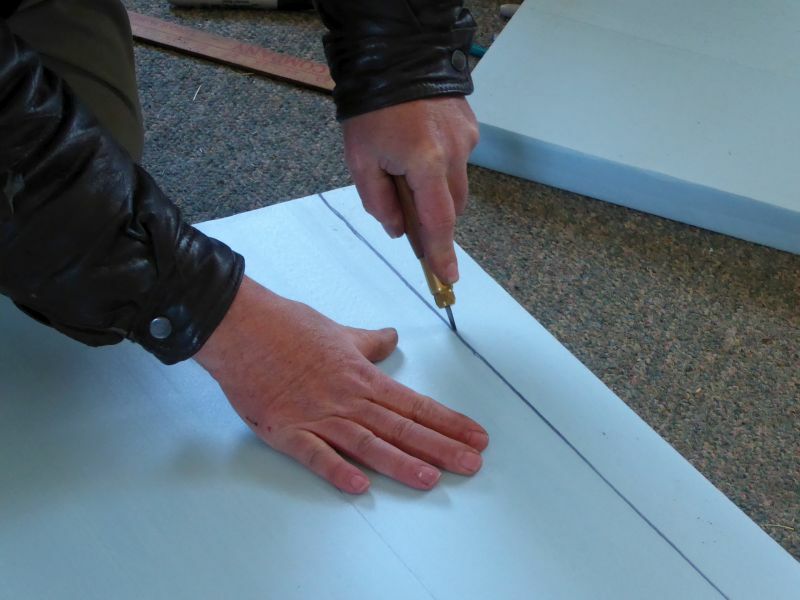 The foam was easy to cut. 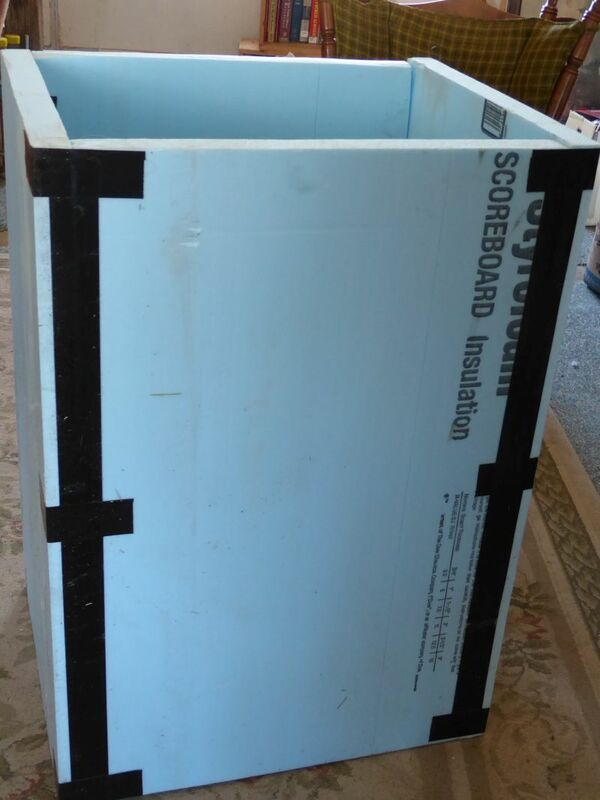 ...and built a box. 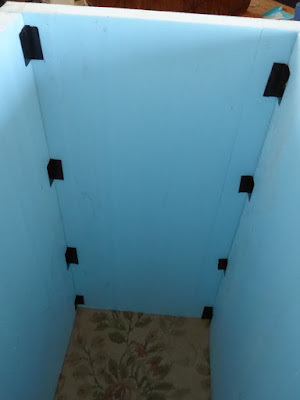 The corners are held together with very thin screws, reinforced with Gorilla-brand duct tape (which we hope will hold up to the elements). 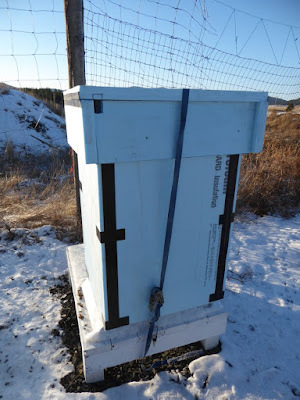 Then we fitted the insulated sleeve around the hive. 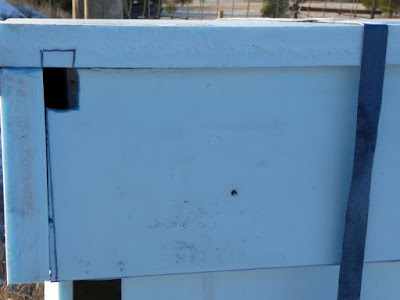 We cut holes top and bottom where the bees have their regular access in and out of the hive (they have top and bottom "doors"). ...and fitted the foam top over the sleeve. He cut ventilation holes to allow moisture to escape (moisture build-up is one of the primary winter killers of hives). These holes will also allow bees outside access through their top door. 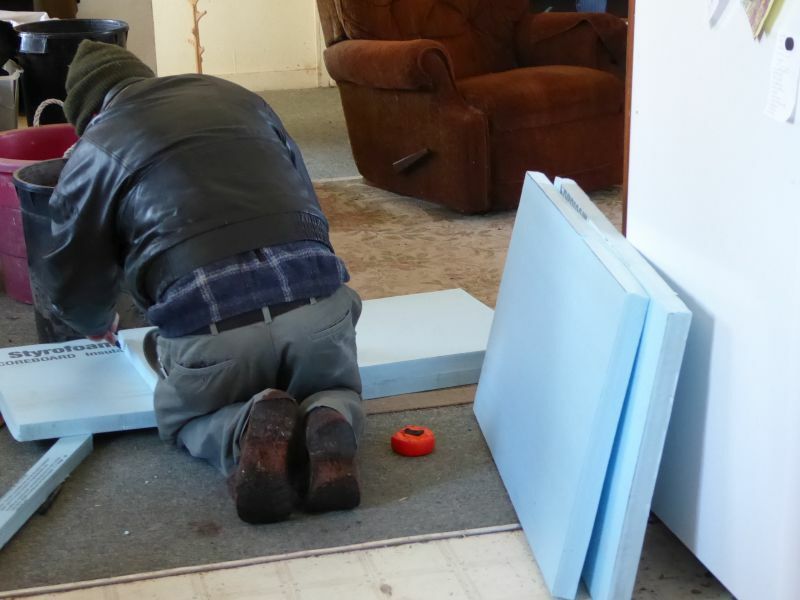 Gently, so as not to crush to foam, we ratcheted everything down with a ratchet strap. Hopefully this will help the ladies will make it through the winter! I think your gorilla tape will work just fine. I say this because we purchased a number of rain catchers, the beige ones with dark brown top made by suncoast I think, that had ribs cast into the plastic. After a few years (2) several of these cracked at the ribs. As a last ditch effort the wife put gorilla duct tape on the inside over the cracks. Some of these cracks were 5 or 6 inches long at this time. That bought us 2 more years of use before we replaced them. The tape was still stuck it was just that the cracks had enlarged past the tape. I use the same stuff but I just cut it into sheets and wrap the brood chambers (of which I run two). Of course my Winters are not as bad as yours so I can get away with just wrapping up the middle part of the hives. 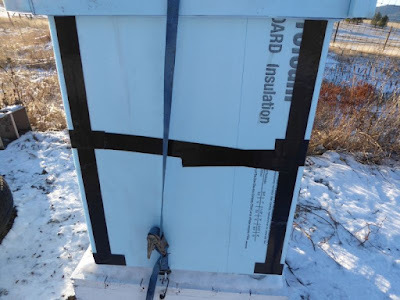 I find the duct tape only lasts until about March when I am ready to take the foam sheets off anyway. 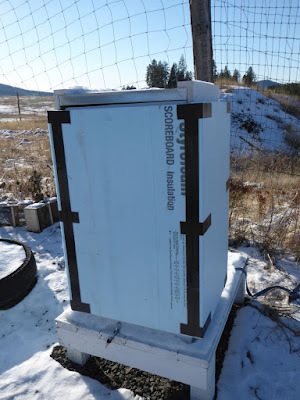 It really does seem to make a big difference in how much honey the girls need to use to make it through Winter. 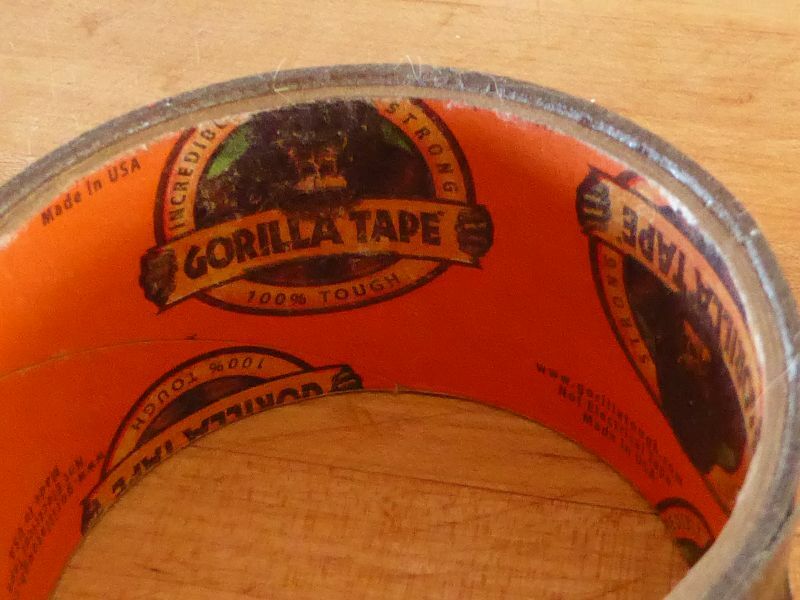 I use Gorilla Tape for everything. 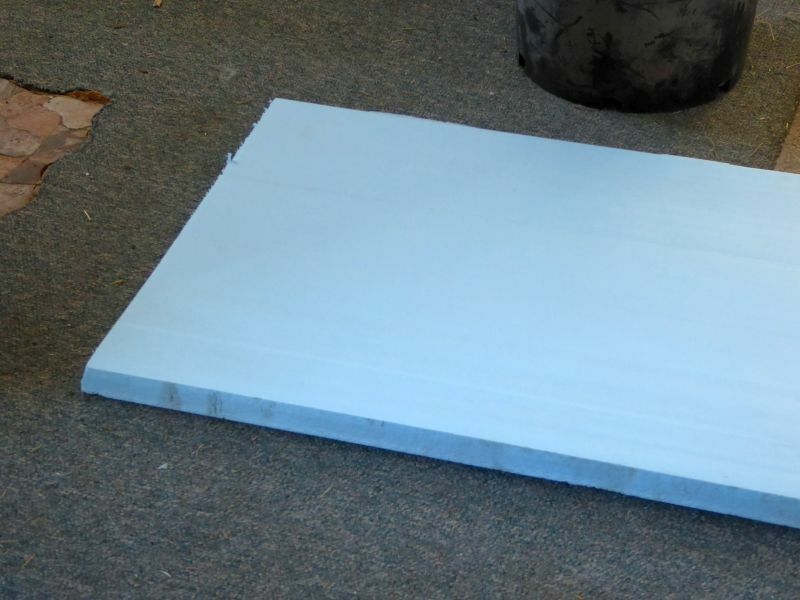 I once used a four inch piece of Gorilla Tape to cover a small hole in our concrete block foundation that had wasp nest in it. It just needed to last long enough to finish siding the house. After five years of West Virginia wind, rain, and snow, that piece of tape is still stuck there. Somethings you just don't want to cheap out on. 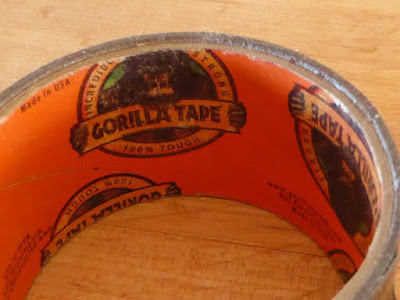 If the Gorilla tape begins to fail try covering it with the Aluminum tape they use to seal duct work. Looks great! 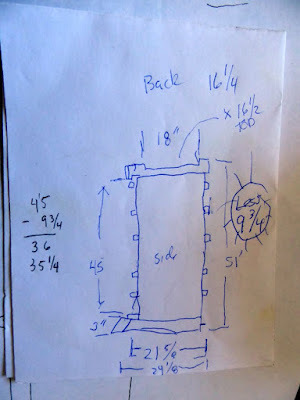 My only suggestion is to make sure you have at least one twist in the straps on either side of the hive. This should keep high winds from making the straps sing and moan. The sound can be pretty irritating, and might stress the bees. I live in southeast Texas. Our hives are out foraging still.